With opening day offering a '50% off your complete check special' it was surprising that we only had a 10 minute wait plus everything, as far as I could see, went smoothly. I believe this is La Bamba's 6th restaurant in the area and, probably, one of the most brightly decorated one in the area including the new 'thing' of the ceiling being a special part of the restaurant interior. To start off our server Jason was excellent. (An aside: am I just old or do all servers look 15 years old today?!) The ladies at the front desk didn't have an easy job but they handled it professionally and with a smile which is always a good introduction to a restaurant. The portions are huge and the food tastes good which I suppose justifies the high prices for a Mexican restaurant though sticker shock isn't new these days. Anthony had the Flautas ($13.50), asked for a side of guacamole ($4.50) and his iced tea without ice ($2.50) which always makes me laugh.. I had the Supreme Fajitas which consisted of chicken, shrimp and steak ($19) without too much shrimp but a good portion of steak and chicken along with a diet coke ($2.50) We both cleaned our plates at the same time saying we weren't hungry! The only disappointment were the chips--sort of tasted stale--as did the 2 mild and one spicy salsas served with them, neither having a homemade taste. It was good to see a working manager going to and from tables and even helping a server here and there plus cleaning a table along the way. Our check came to $44.52 with the 50% off making it $22.26 plus tax and tip. 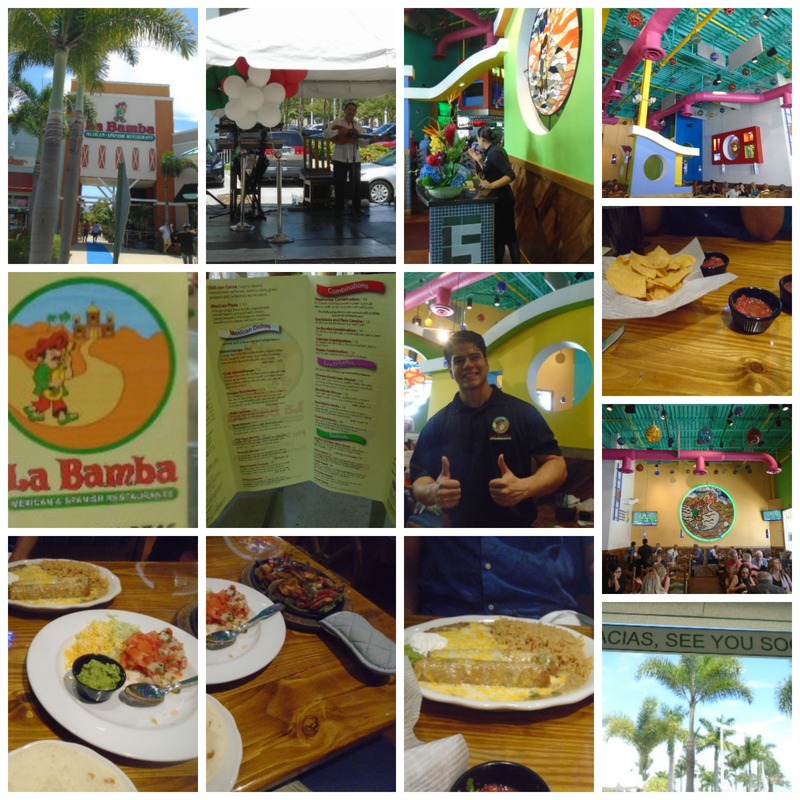 For the past 20 years my favorite Mexican restaurant has been right around the corner on 17th street but with La Bamba open for lunch, and the former not anymore, I may be seeing Jason again--as when I find a good server I will always ask for them as they are one of the reasons I am coming back to a restaurant.